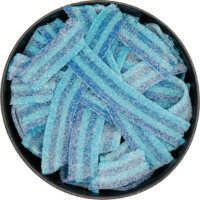 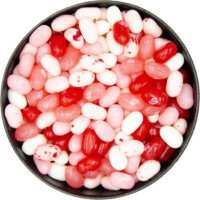 Sour Blastin’ Blue Raspberry Gummy Fun Bears are mouth-puckering critters with a dusting of sour sugar crystals that compliments the sweet raspberry flavour. 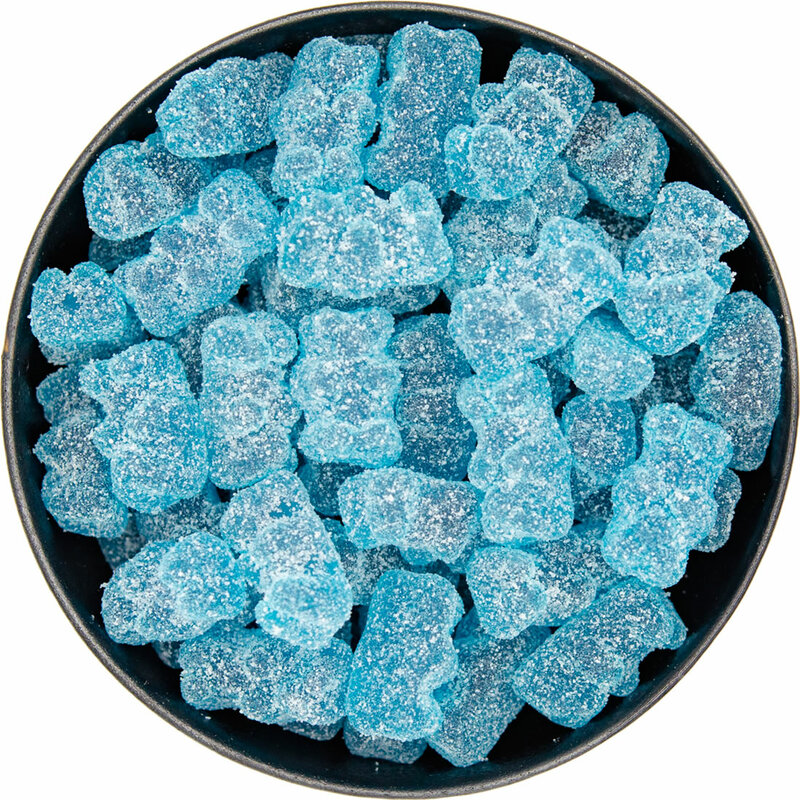 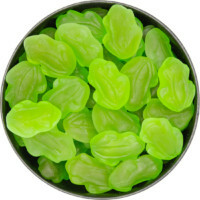 These delicious bears offer a burst of flavour as soon as they hit your tongue. 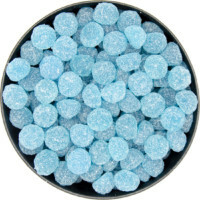 Corn Syrup, Sugar, Gelatin, Acids (Citric Acid, Malic Acid), Glycerol, Gelling Agent (Pectins), Natural and Artificial Flavour, Colour (FD&C Blue #1).